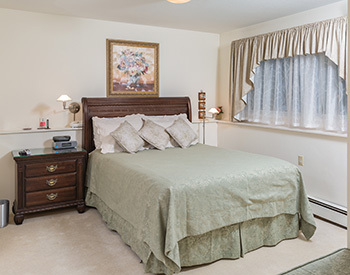 At Camai Bed and Breakfast, we strive to offer true relaxation and warm hospitality in a quiet neighborhood setting, with the convenience of downtown Anchorage just minutes away. Our environmentally friendly lodging alternative offers hotel-style amenities with the personal touch that can only be found at a privately owned bed and breakfast. Choose one of our three generous two-room suites will make you feel right at home here in “The Last Frontier.” Each suite offers queen-size beds with luxurious bedding, private en-suite bathrooms, compact refrigerators, microwaves and additional features unique to each suite, including a handicap-accessible option. As a family-friendly inn, we welcome well-behaved children and offer sleeping options for families of up to five members. An Eddie Bauer portable crib is available if you would like to leave yours at home. As a bed and breakfast, we pride ourselves on offering a great start to each day with full breakfasts during the summer months and expanded Continental breakfasts during winter months. We are happy to accommodate special dietary needs with advanced notice, and juices and milk that children often enjoy are staples at our inn. Have a baby with you? We have a high-chair available for our guests to use. Additional persons are $20 each. Children age 2 to 10 are $10 each. to receive a $15 per night discount! *Rates are subject to annual adjustments depending on inflationary causes. Additional persons are $15 each. to receive a $10 per night discount! We suggest you make reservations early to avoid disappointment. 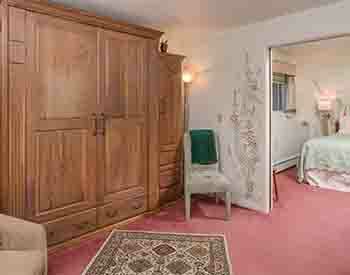 For all reservations we require a deposit of the first night’s cost. Full refunds minus a $15 processing fee are issued for cancellations made 21 or more days prior to reservation arrival date. Cancellations made less than 21 days prior to reservation arrival date are not refunded unless we are able to rebook the suite; the refund offered will depend upon the number of days that are rebooked. Check-in time is after 3PM. If you wish to check in at 1PM, then there is an additional charge of $30. Check-out time is no later than 11AM. If you wish to remain in your suite after 11AM and up to 1PM, there is an additional charge of $30. As long as you vacate your suite, you are welcome to “hang out” in the common area until 2PM at no additional charge. There is locked storage space for bags if you wish to go on one last adventure before catching a “red-eye” flight. 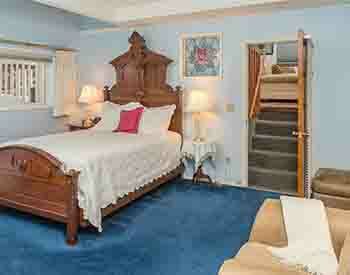 We are a smoke-free bed and breakfast. If you are a smoker, you may smoke outside away from the guestrooms. This includes not using e-cigarettes inside our guestrooms. Let your hosts know that you need a closed container for the cigarette butts. They must be left outside. Responsible social drinking is allowed. Your hosts enjoy an occasional glass of wine outside on the deck at the end of a long summer day. Bring your own wine; wine glasses are provided. We ask guests to observe the Alaskan custom of removing shoes when inside. You may wish to bring a pair of slippers. If you prefer to use ours, we provide “loaner” slippers in a range of sizes.